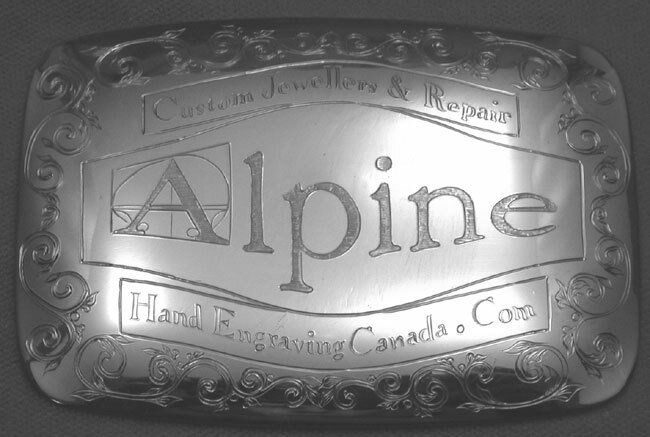 Belt buckle with a company logo and modified English scroll. 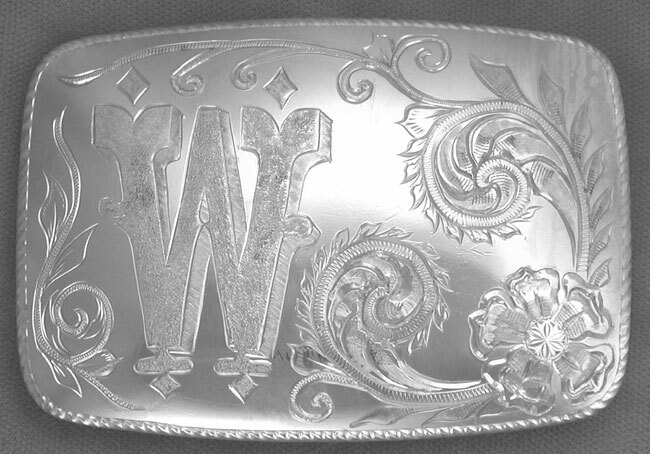 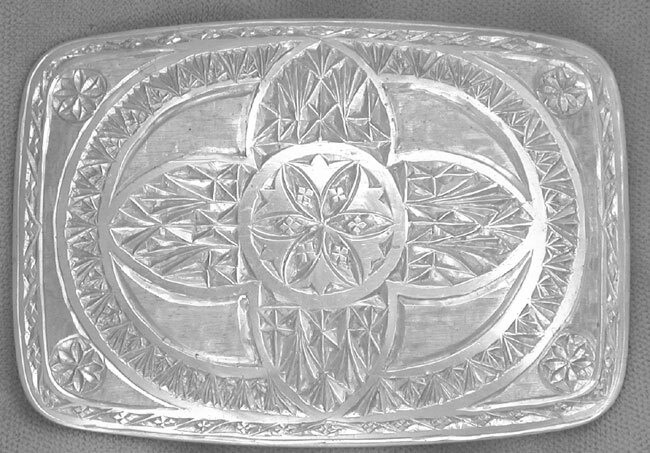 Western scroll belt buckle with initial. 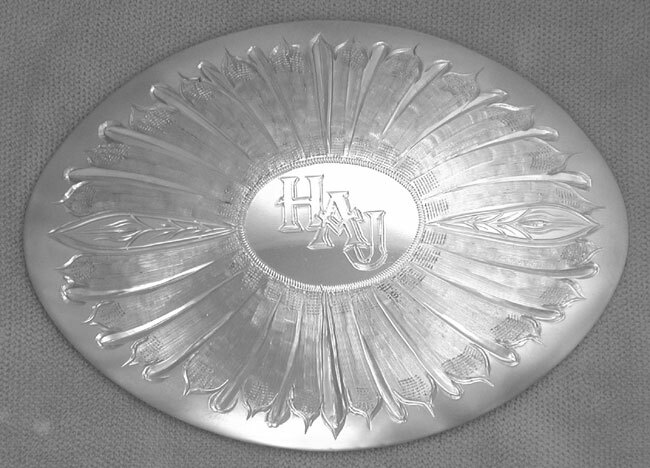 Western Rosette with a monogram.